Burbot is a demersal or bottom fish living in cool waters. It is one of the most common species in Finland, occurring throughout the country in all types of waters. 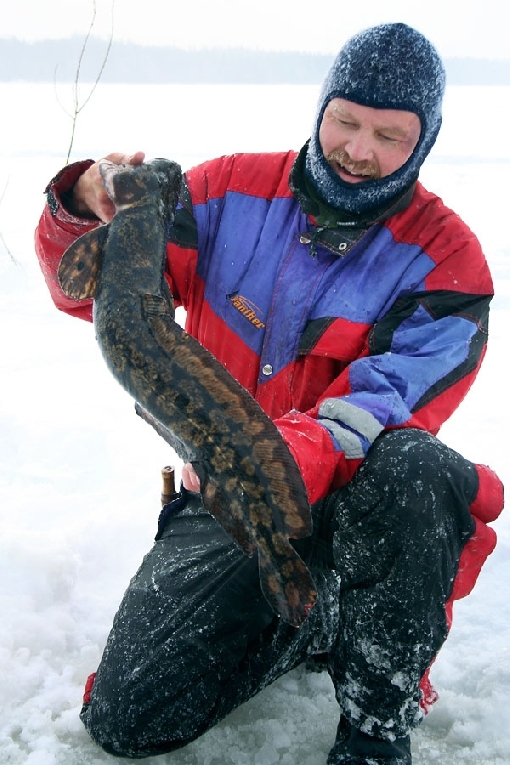 Burbot's spawning season in winter is the main fishing season. 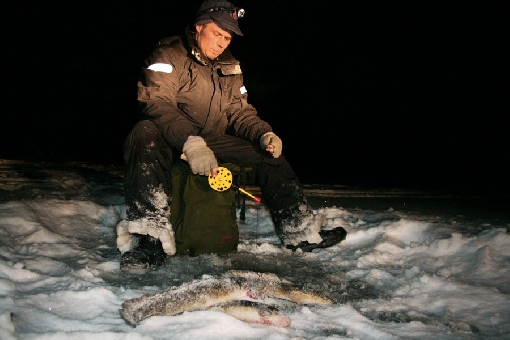 People ice-fish for burbot from mid-January to the end of February. The time to go burbot ice-fishing is at dusk. On the coast, sound areas are good burbot fishing sites. Before the spawning period, baitfish are used to ice-fish for burbot. During the spawning period, anglers use specific hook rigs or jigging spoons rigged with several hooks for ice-fishing at 1 to 3 metres. Typical spawning places are the hard sand and gravel bottoms of bays and mid-lake shoals. The thing to do when ice-fishing is to rattle the lure at the bottom and when you feel the line being weighed down, that is the signal to launch a fierce counterattack. According to new Fishing Act, this fishing method is prohibited (1.1.2016−). It's advisable to have a strong line of 0.40–0.70 mm and a big auger – at least six inches – to prepare for situations where a big burbot gets stuck. 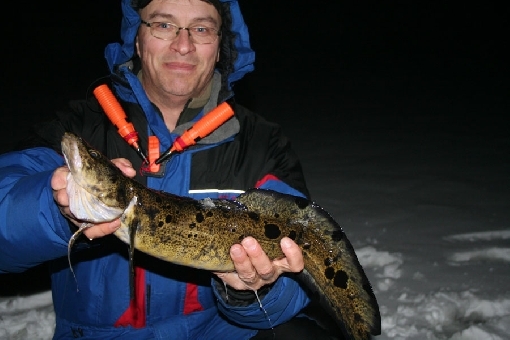 This is the only period when burbot are pursued using rod tackle. 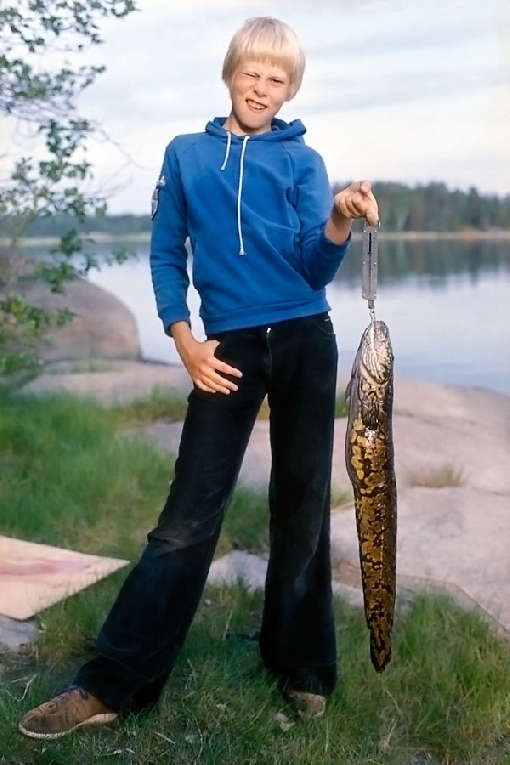 As it turns out, a technique suitable for fishing burbot in summer is yet to be invented in Finland. Burbot are shunned as a game species in summer for no reason at all, even though their flesh is at its best at that time. As gadoid fish, burbot must be bled out and cleaned immediately after being caught. Burbot makes for a splendid food fish and few people know that it's the best of all smoked fish species. 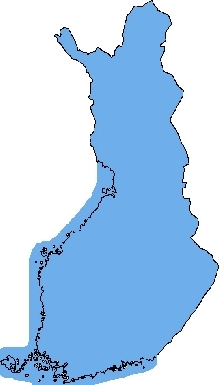 Lake Lappajärvi is one of Finland’s countless burbot fishing sites.